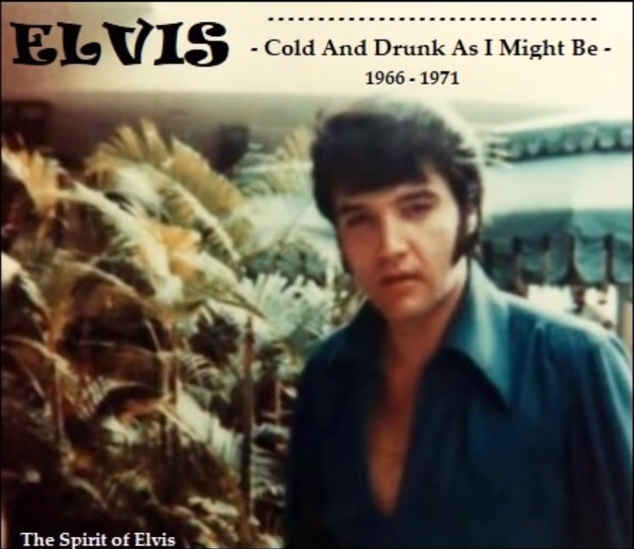 The Spirit of Elvis" presents a selection of alternate studio recordings from Elvis' recording sessions in Nashville 1966-1971. TRACKLIST: 01 Big Boss Man (Take 2) 02 Early Morning Rain (Take 11) 03 Gentle On My Mind (Undubbed Vocal Repaired Master) 04 Snowbird (Take 1) 05 If I Were You (Take 5) 06 U.S. Male (Take 7) 07 Movin' On (Vocal Repaired Master With Steel Guitar Overdub) 08 I'm Leavin' (Spliced - Takes 1&3) 09 It Ain't No Big Thing (Spliced - Takes 1&2) 10 Tomorrow Is A Long Time (Take 2) 11 Guitar Man (Unedited Undubbed Master, Take 12) 12 Funny How Time Slips Away (Undubbed Master, Take 1) 13 That's What You Get For Lovin Me (Take 10) 14 Don't Think Twice, It's All Right (Unedited Version, Jam) 15 Mary In The Morning (Spliced - Takes 1&4) We did some editing & remastered the sound.